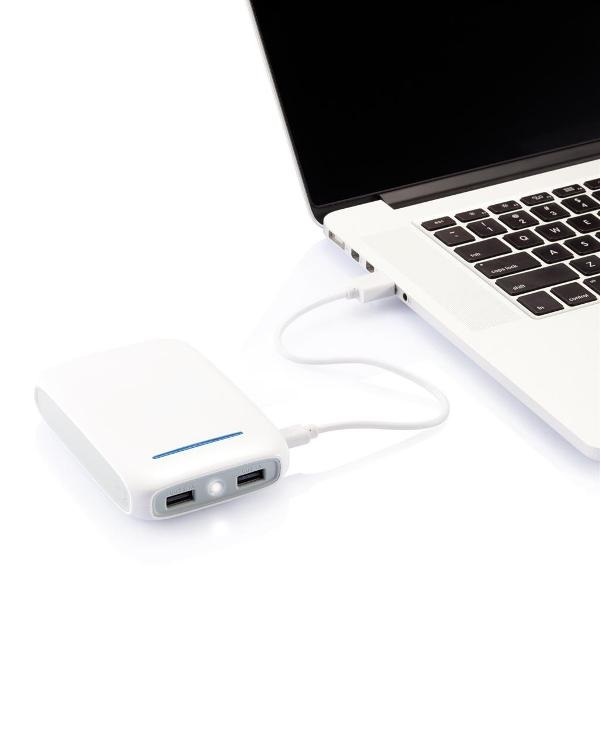 Potente powerbank in ABS da 10.000 mAh. 2 uscite output. Con torcia.